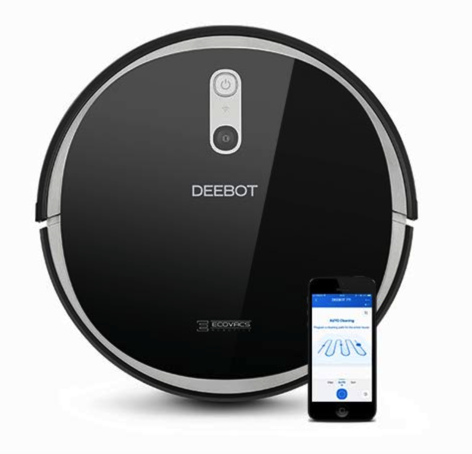 ECOVACS DEEBOT Robotic Vacuum Cleaner for just $269.99 shipped! In the market for a robotic vacuum cleaner? Don’t miss this one-day sale on an ECOVACS DEEBOT robotic vacuum cleaner! Amazon has this ECOVACS DEEBOT 711 Robotic Vacuum Cleaner with Smart Navi 2.0 for just $269.99 shipped today — the LOWEST price on record! If you’d like to opt for a less expensive option, their ECOVACS DEEBOT 601 Robotic Vacuum Cleaner is also on sale today! Valid today only, April 15th, while supplies last.